As a part of Amazon Fab Phones Fest sale, OnePlus 6T which is the current flagship device from OnePlus is listed on the website with first ever discount. Launched in the Indian market by late last year, the OnePlus 6T was introduced with a starting price of Rs 37,999. The three-day sale commenced from today onwards which brings the OnePlus 6T smartphone with a discount of Rs 4500. The flagship device will be made available at the discounted price till the stock last or April 13 (11:59 PM IST). As OnePlus 6T is offered with an attractive discounts, it is speculated that OnePlus 7 could make its debut soon. 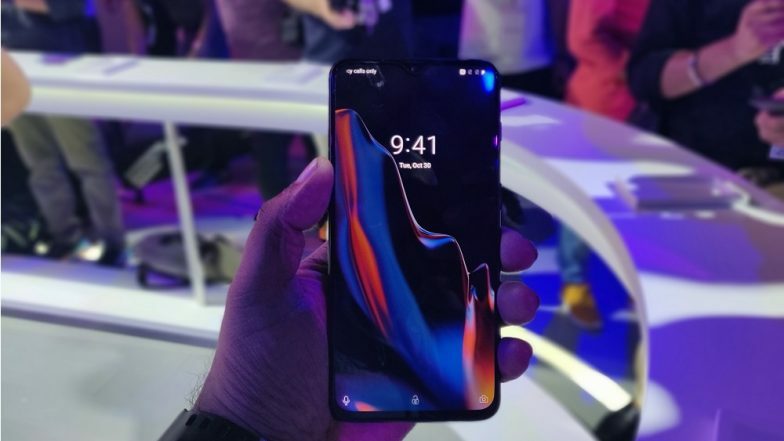 OnePlus 7 Pro With Curved OLED Screen Leaked Online Ahead of Launch. Amazon is offering the device will an effective discount of Rs 4500 for the entry level variant - 6GB + 128GB, which brings the price to Rs 34,999. Moreover, the customers can also avail exchange benefits of up to Rs 11,450. The 8GB/128GB & 8GB/256GB variants are also listed with a discount of Rs 4000. Moreover, the customers can also avail additional discount of 10 percent via HDFC Bank credit and debit cards. Amazon’s Fab Phones Fest Sale 2019: Apple iPhone X, OnePlus 6T & Other Smartphones Will Attract Customers With Huge Discounts During the Sale. Specification-wise, the OnePlus 6T sports a 6.41-inch AMOLED screen with FHD+ resolution & waterdrop notch. The phone also features an in-display fingerprint sensor. Moreover, there is a dual rear camera comprising of 16MP and 20MP sensors. At the front, the phone comes with a 16MP selfie camera. Under the hood, the phone gets a Qualcomm Snapdragon 845 SoC that is mated up to 8GB of RAM and 256GB of internal storage. Running Android 9.0 based on Oxygen OS, the phone is backed by a 3700 mAh battery. OnePlus 6T Prices Slashed By 400 Yuan in China Ahead of OnePlus 7 Launch. 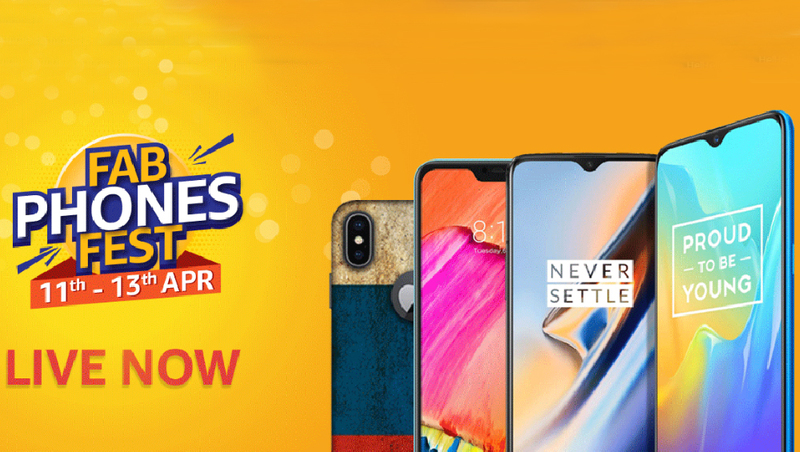 As a part of Fab Phones Fest sale, Amazon is also offering attractive deals and offers on other smartphones from Honor, Realme and others. The Honor Play is listed with a discount of Rs 6000 bringing down the price to Rs 13,999 from Rs 19,999. Moreover, Honor 8X price also has been reduced by Rs 2000 that brings the price to Rs 12,999.